I still can't get my head around the fact that in just a few days time - yes, just a few days - my little family of three will be spreading it's wings and expanding into a slightly larger family of four. I'm not even sure that I've sat and contemplated all of the things that will need to alter in the coming years to try and accommodate such a huge change yet either. But a change that is obvious is the fact that, sometime very soon, we are going to have to discuss moving house because, quite frankly, the one we currently own is way too small. We only have two bedrooms you see and with absolute zero storage space it's far from ideal for a growing family. But what is a person to do? 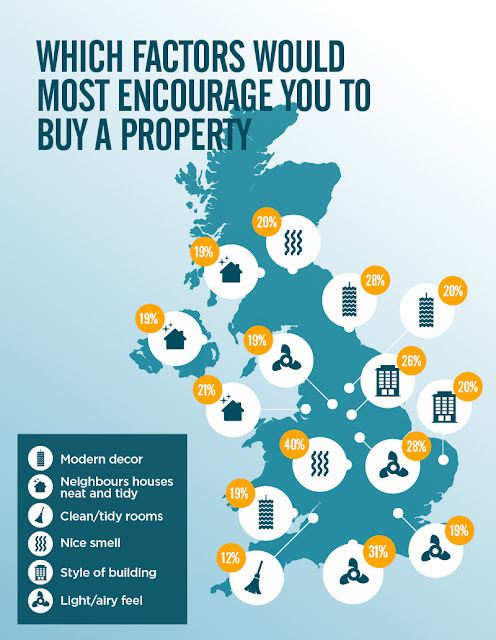 It would seem that all of the important things that I need in a home now - which are things a lot of other people need from their homes too - are actually quite expensive commodities. If you want the space and the great location then you are certainly going to have to pay all that more to have it. With our next move being the third under our belt you'd think we would have realised all of this before now, that we would be dab hands at the whole moving lark, but the things we just couldn't do without now weren't things we even thought to look out for in the past. Take out first home for example, no way on this earth would it be looked at twice if we were to view it now. The area it was in wasn't ideal for a start and it was small - just a four roomed cottage with only one bedroom - and when we went to look around, it was full to the brim with the owners junk. It was dark, poorly lit and not all that attractive at all if I'm honest. In fact - it was pritty grotty. It needed so much work doing to it - a total new kitchen, full rooms re-plastering - everything. But at the time we were a young couple with no children, we were offered a good price and found a very low mortgage deal and because we lived with my now Hubby's parents we desperately wanted our own space - so we snapped it up and vowed to (eventually) make that tiny little hobbit hole perfect for us. And do you know what, we did it. Nowadays, oooh, I wouldn't touch that big a project for anything. There are so many things I didn't even think about all those years ago that would be crucial for me to have in a home now. My main focus would be to source a really great area, one with as low a crime rate as possible but one which would have, have, have to be within the catchment area of the schools that I know I want my children to attend. And that is not something I would have batted an eyelid at considering almost twelve years ago when we signed on the dotted line that very first time. Next up, and a very close second, would have to be space - having a boy and (very soon!) a girl with a ten year age gap in between means that we one hundred percent require a house which has three bedrooms - three bedrooms at the very least. But whilst I'm on with this little wish list I may as well throw something else into the mix too - both of our past purchased homes have needed work doing to them - and by work, I mean a lot of work - as in full new kitchens and bathrooms just for starters. For once it would be simply amazing to have a lovely, fresh, bright home that we could practically move straight into from the off-set without the need to demolish and rebuild parts of it first. 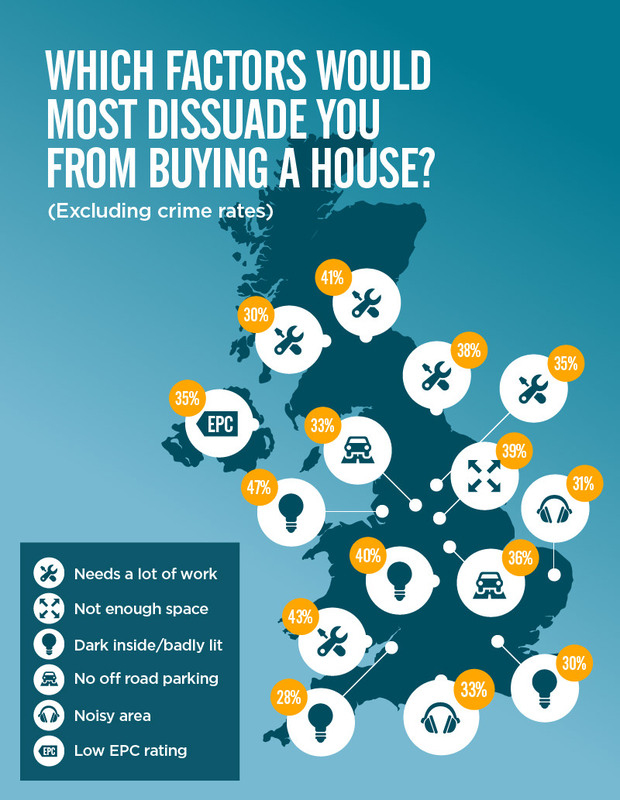 So it would seem there are actually a lot of things that are really important when it comes to choosing a property to buy - especially as you get older - things which a lot of people want and are certainly willing to pay all the more to have. And these things really do help add value to a home. Who knew that this getting "more mature" lark could be so expensive...!